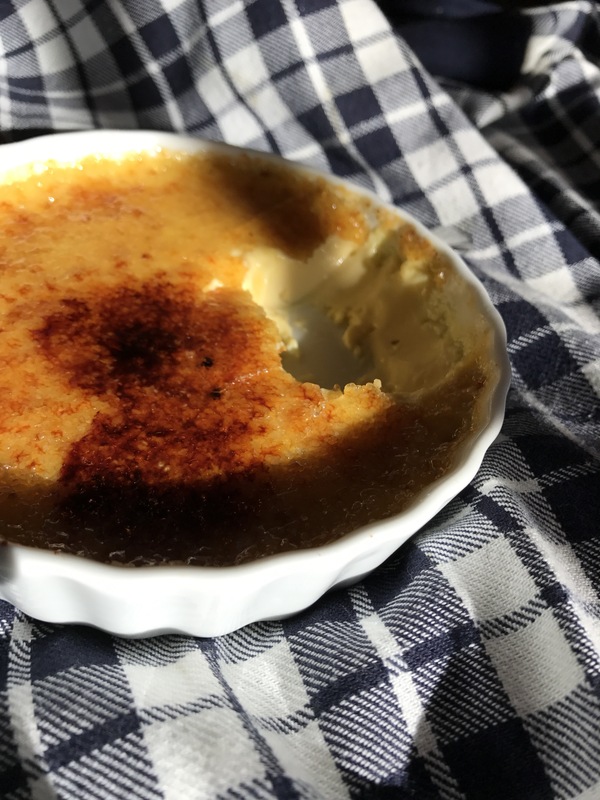 Creme Brûlée… the most delicious way to use up all these eggs! 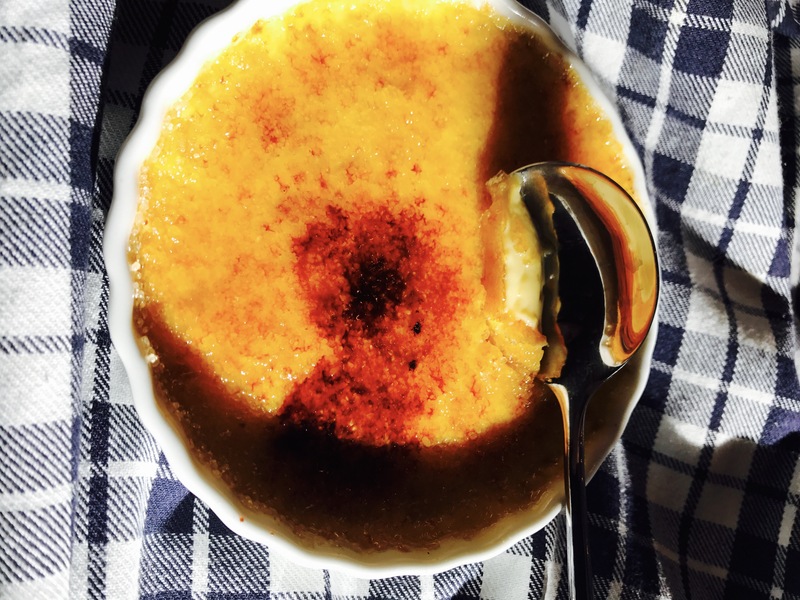 If you don’t like Creme Brûlée… we can’t be friends. I’m serious. Seriously not kidding. 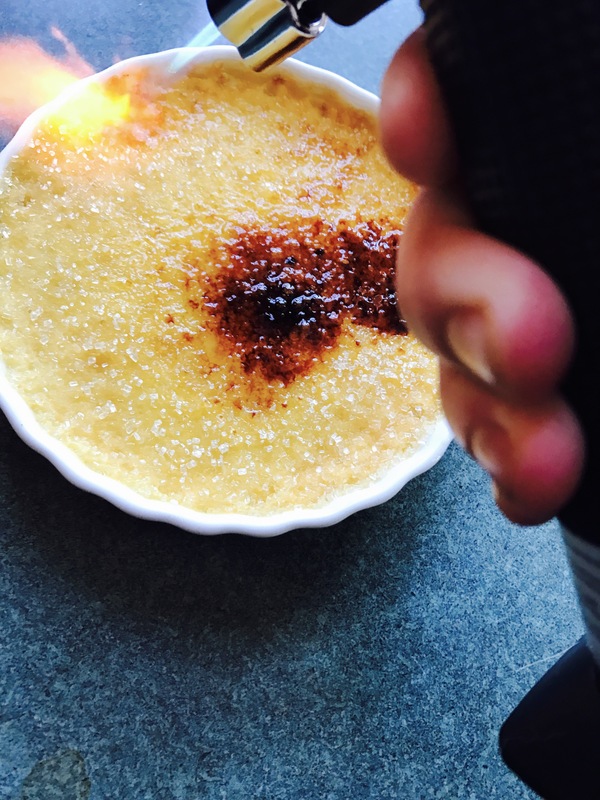 Out of all the desserts out there- creme brûlée is without a doubt my absolute favorite. In fact I’m eating it right now. Last Christmas, James bought me a butane torch, among other things…but if you’re me-You’re pumped about the butane torch. We both have a strong affinity for creme brûlée. One year and one month later I finally used the thing! To the day. It took me one year and one month to use this. First of all, butane torches do not come with butane. Second, I did not own brûlée ramekins. 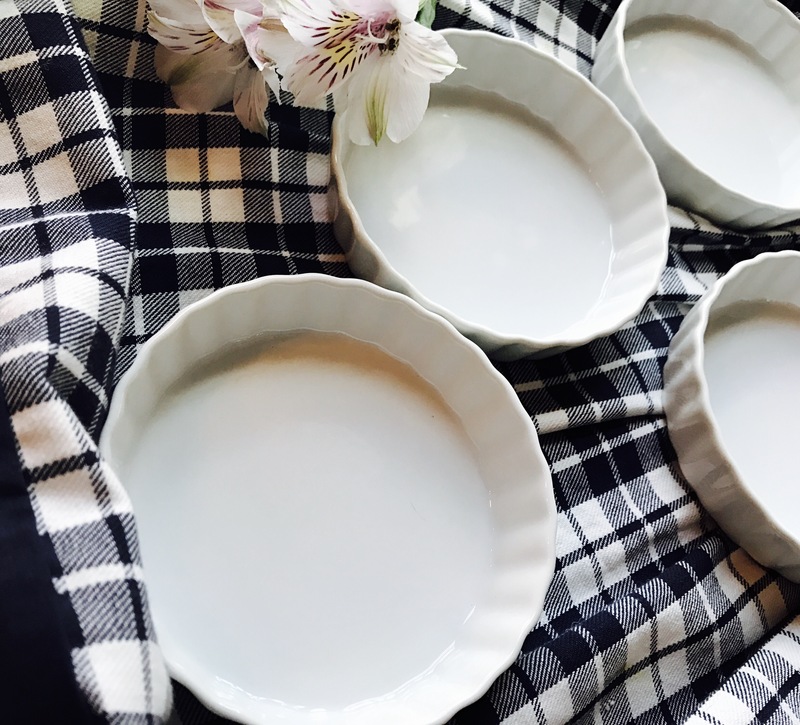 The whole delicious idea was put on the back burner until the other day when I was searching for ways to use up a bounty of fresh eggs from our hens. This idea was decidedly perfect. 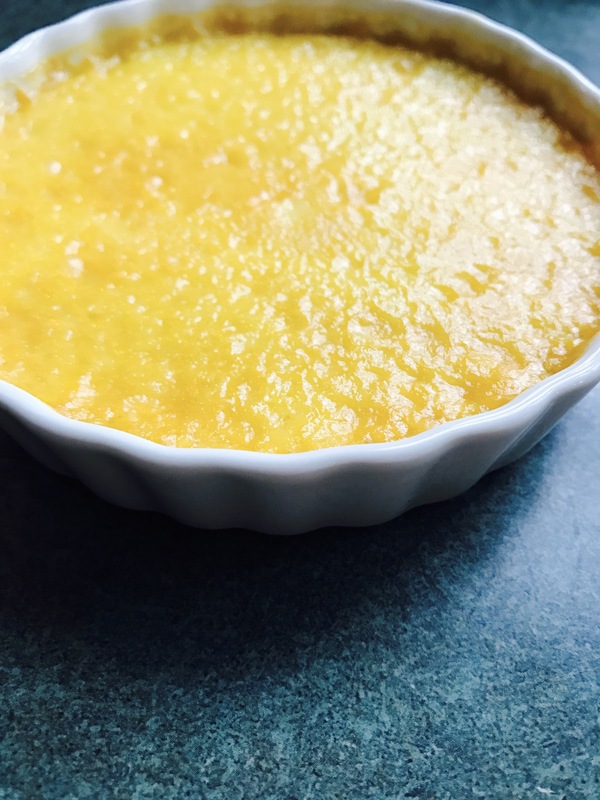 Not only because it’s my favorite dessert, and Santa brought the much needed ramekins this year… but because creme brûlée uses only egg yolks. Meaning these eggs worked over time. 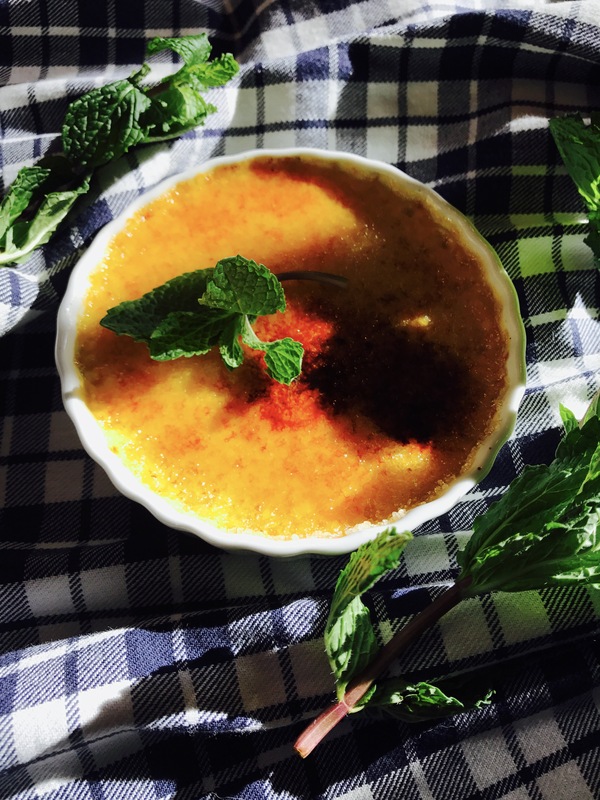 Creme brûlée for dessert Wednesday night and egg white omelettes for the kids the next day! If you’re patient, this “fancy” sounding dessert is ridiculously easy to make… and you only need a few ingredients. Start by separating the egg yolks into your mixing bowl. Save the egg whites for another day. In a sauce pan, heat your cream and vanilla over medium high heat stirrring frequently. DO NOT let it boil. Once the edges begin to bubble take it off the heat and let it stand for a few minutes. 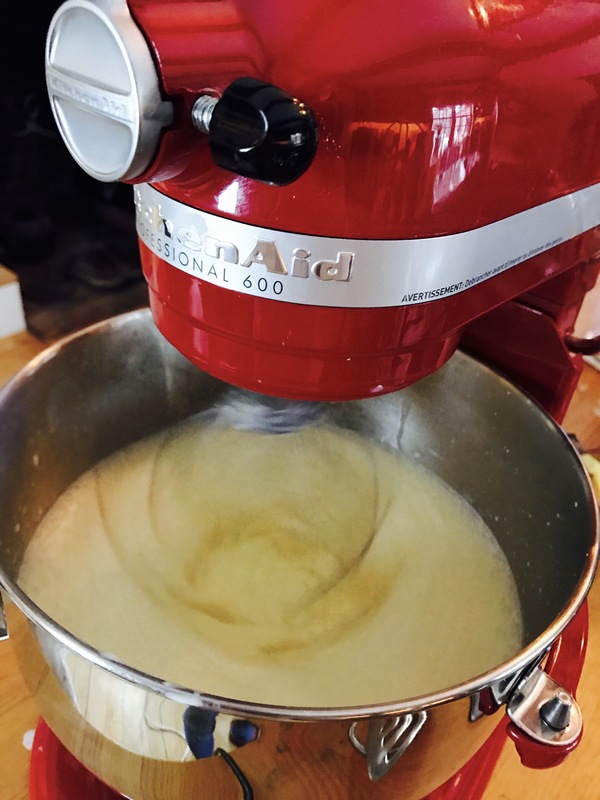 Add a 1/2 cup of regular granulated sugar to the yolks and mix till the yolks look lighter in color and a custard like consistency begins to form. Now it’s time to tempur the yolks and sugar. Add the hot vanilla cream a half cup at a time. Slowly, with the mixer on. By the time it’s all incorporated, the top layer should be foamy. Skim off most of the foam. Taste the foam before you discard it. Just do it. It’s amazing. After that it’s time to pour that deliciousness into your ramekins. The ramekins should be on a baking tray. I used a spouted measuring cup for this to make it easy. Fill them just about all the way up. Then pour hot water into the baking tray, bringing the water level a quarter of the way up the outside of the ramekins. Bake at 325 for 40-45 minutes. You want the custard to be set but still a little “jiggly” in the middle. Cool for 15 minutes or so on the counter. Cover with plastic wrap, being careful that the plastic doesn’t touch the surface of the custard. Refrigerate for two hours or up to two days. 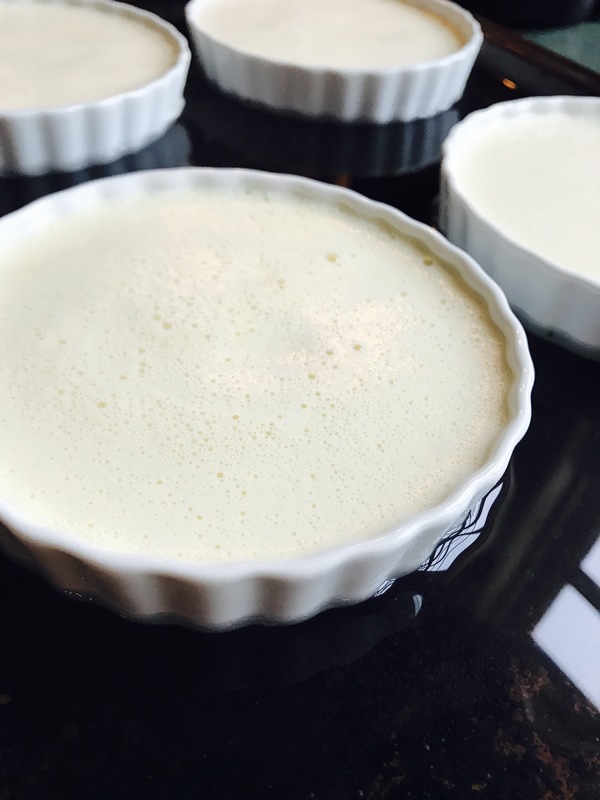 When you’re ready to serve, add your raw, turbinato sugar (a tablespoon or two) to the top of each ramekin, evenly. Allow the hot sugar to harden for a minute or two and then… swoon. Success! So easy. This is where patience really pays off. This dish has always intimidated me! But now I just want to eat some.